People born under this cusp are versatile active and highly intuitive. Period of this year is a period growing plants, and days are shorter and nights are longer. Taurus Gemini Cusp children are naughty but adventures. They are full of energy to play a key role in their class and sports. These children have high appetite, that is why they love rich and nutritious food. Because of their strength they are regular in their study and daily routine. They are always seen as a forceful personality by themselves. They are never in self-awareness, from at a very early age they are dynamic rather than passive. Sometime to the despair of their parents who correct them on their miner mistakes also. They feel they sticks to one activity than the multiple activities. From an very early age they start developing active attitude. They are less egoistic than normal human being. They are fearful of rejection. Sometimes they form a powerful ego through out their life. They can be the best parents to the best of their children in trust they can take care of their children’s day to day needs. And can establish a very strong born between children and themselves. They can sacrifice their own needs and desires at the interest of their children at such situation, they consider every need at the top of their priorities. In any given such circumstances they are the best planner. Those born on the Taurus-Gemini cusp are eternally young. They are energetic, prolific and once they find something that really appeals to them, they do it quite a bit. They are also versatile. This versatility may cause them to wear themselves out because they try to do too much too frequently. They need to learn to limit themselves to create a balance. Taurus-Gemini is a born communicator. They love active conversations on just about any topic you can imagine. They do have to be careful not to monopolize the conversation. It is all too easy for them to do. They may be conflicted about certain things due to their nature. While they want to be earthy and stable, they are drawn to towards more unstable, frenetic behavior. They may not be sensitive to the feelings of others. While they can spend hours debating over their own emotional matters, they may appear rather unsympathetic or detached. They are prone to burning out, both physically and mentally. If they can learn self-discipline, they will be more successful. 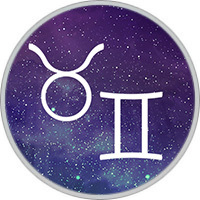 Broadminded and hardworking, Taurus-Gemini is also expressive, energetic, charming, intelligent, adaptable, shy, practical, mature, gentle, quiet, stable, restless, blunt, scattered, nervous, over-indulgent and changeable. They don’t call this the Cusp of Energy for nothing. They may have interests in art, music, travel or social activities. They attract many friends, though they should be cautious they don’t over-commit themselves to too many relationships. They are generous people, who enjoy delving into many things.